Inspired by 1950s sweater guards this design is made in the USA and uses the highest quality findings and pearls. Look for the tiny silver heart charm - it means this is an exclusive Hey Viv ! design. 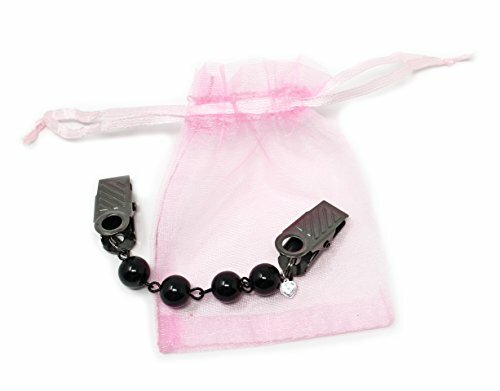 Comes in an organza gift bag. --- Classic retro fashion sweater guard works well on a sweater, blouse or as a scarf holder. Black beads with 1" long black tone clip. Sweater guard is 4 1/2" from end to end. Classic retro fashion sweater guard works well on a sweater, blouse or as a scarf holder. 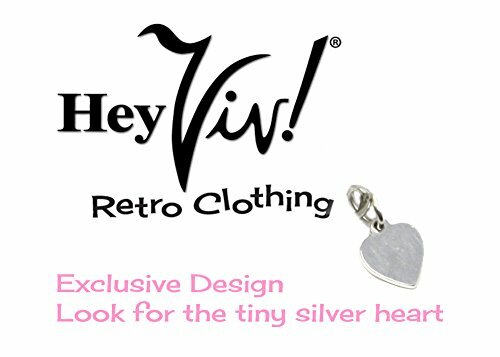 Look for the tiny silver heart charm - it means this is an exclusive Hey Viv ! design. Ships out of Staten Island NY. Hey Viv Retro - 30+ years in the retro business.